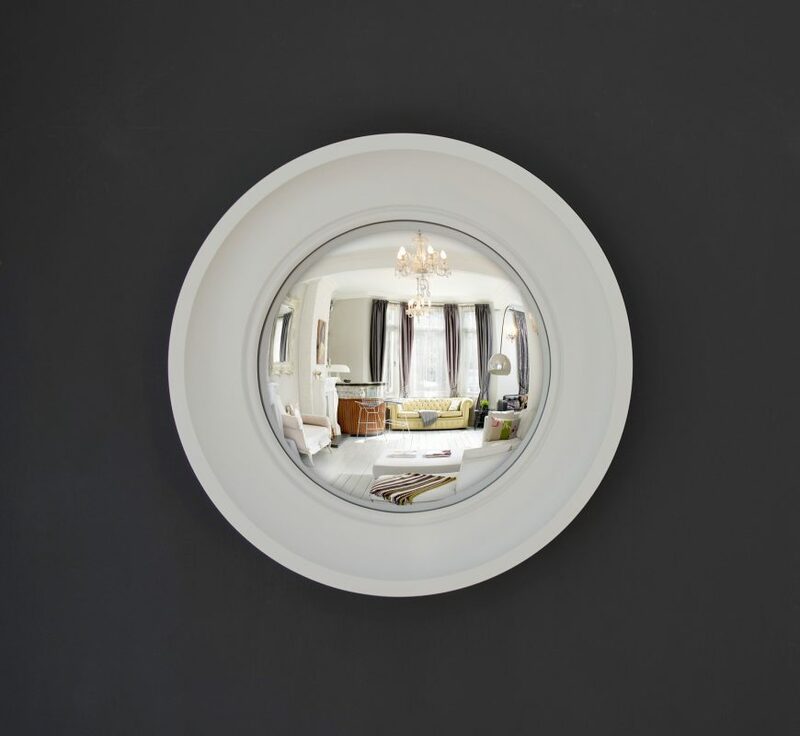 Our Cavetto small convex mirror looks great arranged in multiples or hanging solo. With its simple, coved frame this is a classic design which will suit both contemporary and traditional interiors. Now also available with flat mirror. Ask us about custom finishes. Each mirror is fitted with a recessed mirror plate to ensure a flush hanging position and is dispatched with all fittings needed to hang the mirror. A great amount of work and care goes into the production of each frame. We use old-fashioned techniques, such as patternmaking and gilding, together with new materials, like resin, to create mirrors which are both timeless and contemporary. Each frame is crafted in our studio and hand finished in a variety of colours including 22ct gold leaf. Delivery cost per order will be calculated by PayPal at checkout, based on destination and product selection. You do not need to be registered with PayPal, you can checkout as a guest. Omelo is dedicated to dispatching your valued order promptly and efficiently. When you place your order, you will be sent an acknowledgement by email within 24 hours. We will contact you if there are any problems with your order. We aim to deliver all items to you within 4 weeks of receiving your order (sooner if possible). We will notify you when the item is ready for dispatch to arrange a convenient delivery date. 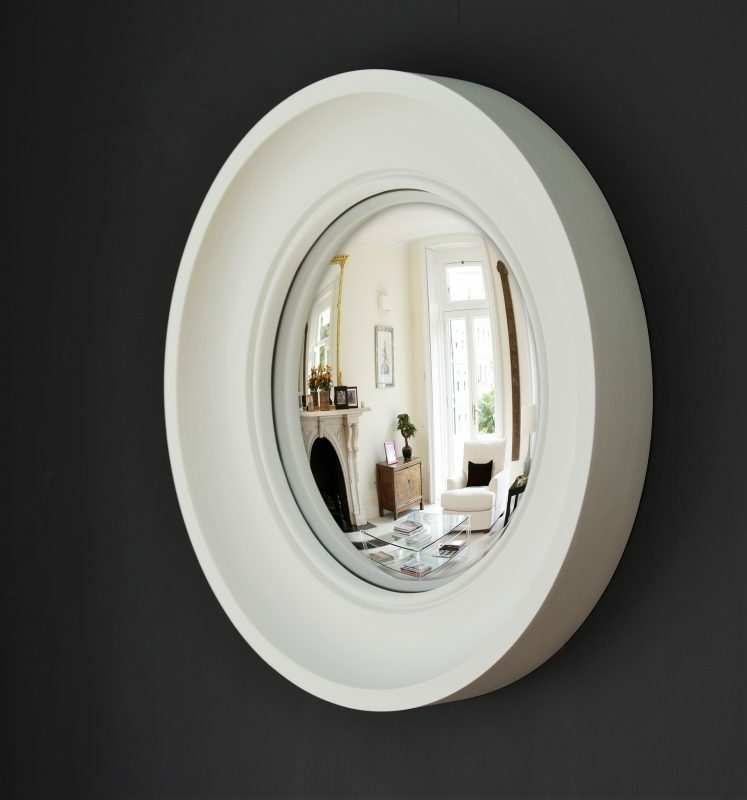 Mirrors will be sent with Parcelforce on a signed-for delivery service, except for our large Lucca convex mirror (105cm) which will be sent via private courier owing to its size and weight. For bespoke items, details will be given once an enquiry has been made. We ship all of our mirrors worldwide (with the exception of 105cm Lucca). Delivery cost per order will be calculated by PayPal at checkout, based on destination and product selection. You do not need to be registered with PayPal, you can checkout as a guest. The recipient will need to sign for an international delivery; we will liaise with you to arrange a convenient delivery date. You can email us anytime, or call us on +44 (0)117 949 0636, Mon-Fri 9.30am-12.30pm and 2.00pm-5.30pm. Please note that deliveries to some destinations, mainly outside the EU, may attract import duty. The recipient of the delivery is responsible for any such charges and therefore we’d advise that you check the import charges applicable in any non-EU country before ordering. If you wish to return your mirror please contact us no longer than 14 calendar days after the day on which you receive the item quoting your order number, your name and address, details of the mirror and the reasons for return. We regret that refunds are not offered after the fourteen day period expires. Products that are made to your specification (mirrors with bespoke finishes) cannot be refunded, unless faulty. All merchandise returned must be accompanied with a delivery note or invoice as proof of purchase. You are responsible for returning the item within 14 calendar days of cancelling. Please ensure you use a secure and reliable method to return your purchase. The parcel is your responsibility until it reaches Omelo. Our address is 25 Knowle Road, Bristol, BS4 2EB, UK. We will issue a refund, where appropriate, within 14 calendar days after receiving the returned goods. My husband is scouting around for a spot to hang another one!